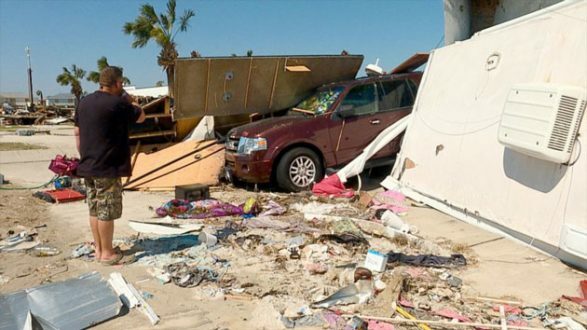 Janet Weinstein/ABC News(CORPUS CHRISTI, Texas) -- On the same South Texas beach pummeled by Hurricane Harvey this time last year, the Weeks family stretched out in the sand. Daughter Annabella, now 6, built sand castles while chattering away to her family. Alizabeth, now 2, collected seashells in the rolling tide. The baby of the family, Loralynn, born in the middle of the storm, smiled as the salty air brushed against her chubby cheeks.